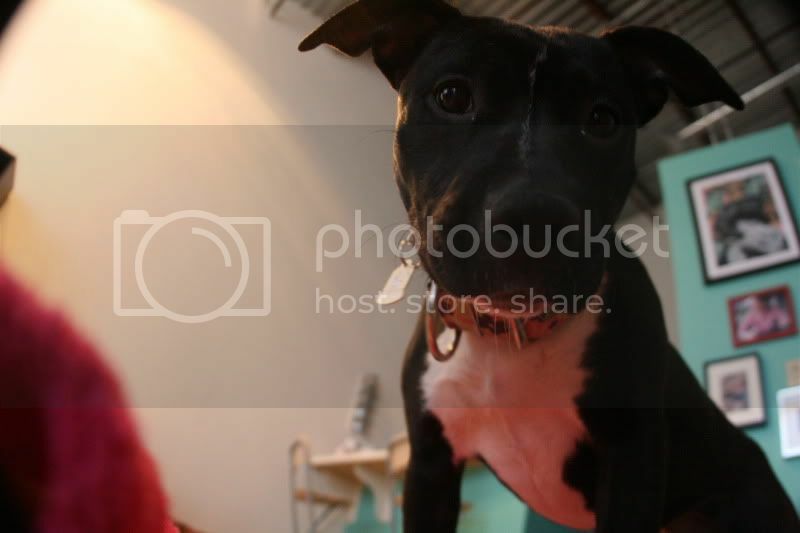 Charlotte is the most affectionate, loving dog you will meet! She wiggles and wiggles and wags her tail non stop! 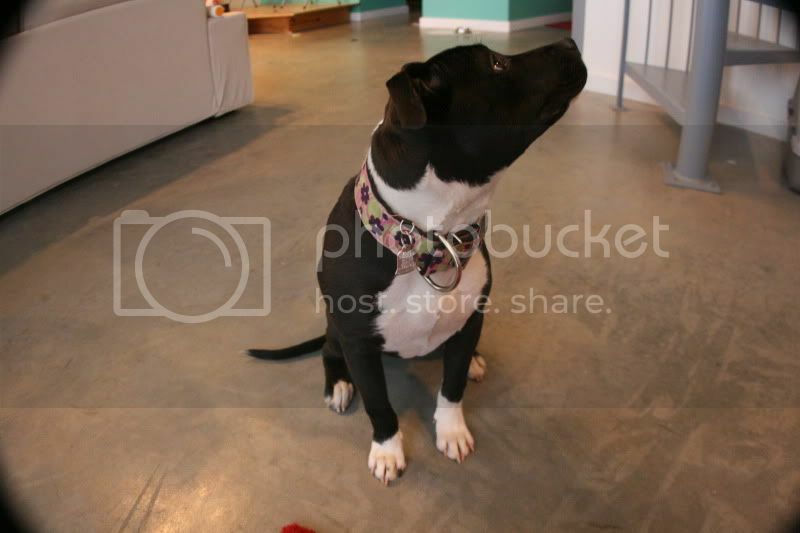 Charlotte is a little munchkin 'pocket pit bull', barely weighing in at 40 pounds. She is about 1-2 years old and full grown. 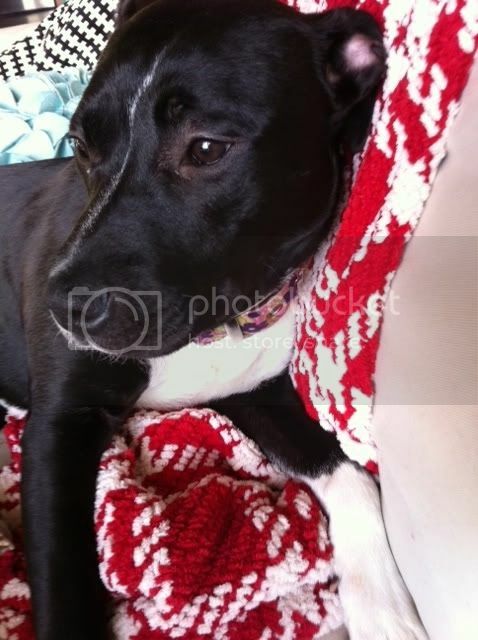 She is currently living in a foster home with a male dog and a cat. 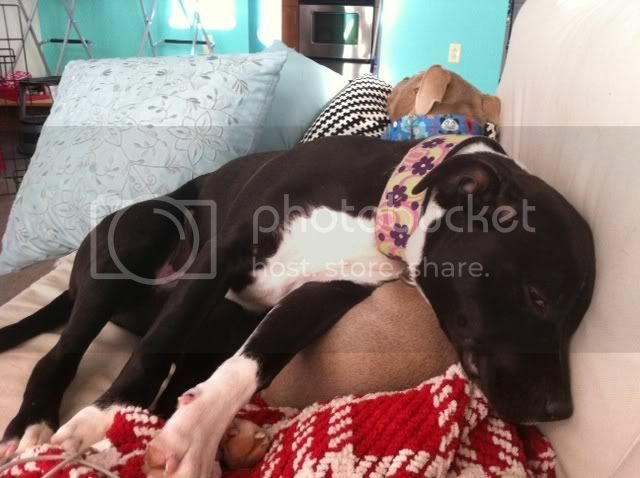 She loves to play with her foster brother who is also a pit bull, but isn't quite sure what to make of the cat yet. 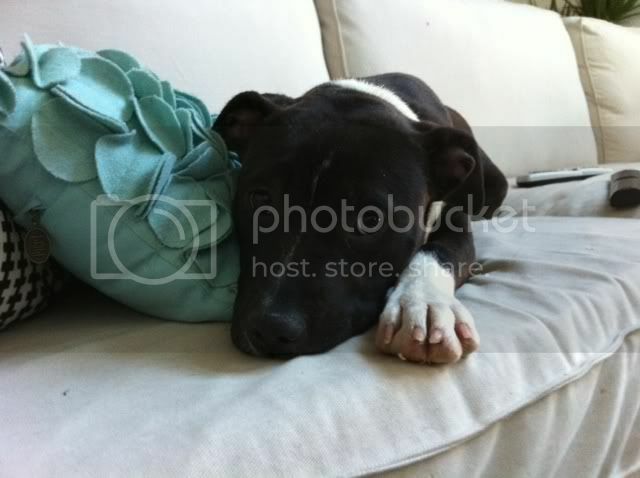 She would do great in a home with other dogs. We are currently working on basic obedience training with Charlotte, she is very food motivated so training should be a breeze. 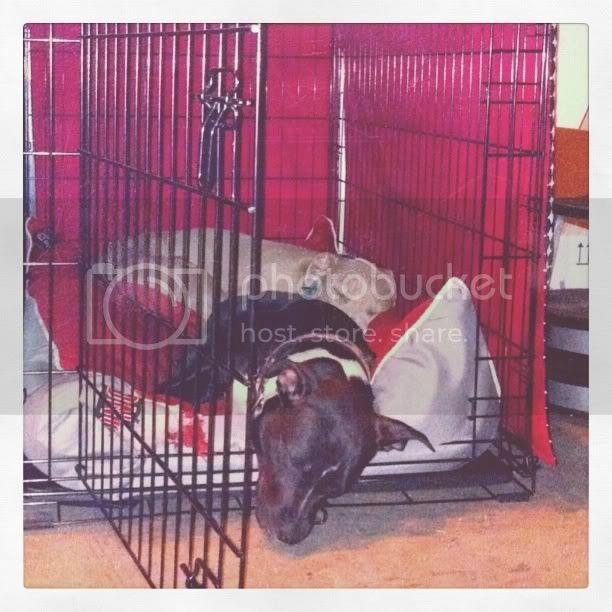 She is crate trained, walks well on a leash, and is doing great with her house training. Charlotte is UTD on shots and preventatives. She is micro chipped. She could be Roscoe's sister, they look so much alike! Best of luck to her, she's adorable. got any videos of Charlotte? She is seriously adorable, picture definitely do not do this girl justice. She has the sweetest eyes and best personality. Yay! Good news, Charlotte got adopted this weekend!